Hilda grew up participating in R.O.C.K. programs. She remembers one Skills Drills soccer team in particular that lost… a lot. As an adult, she traces this early lesson of resilience in the face of defeat, to her happiness in finding her current career. 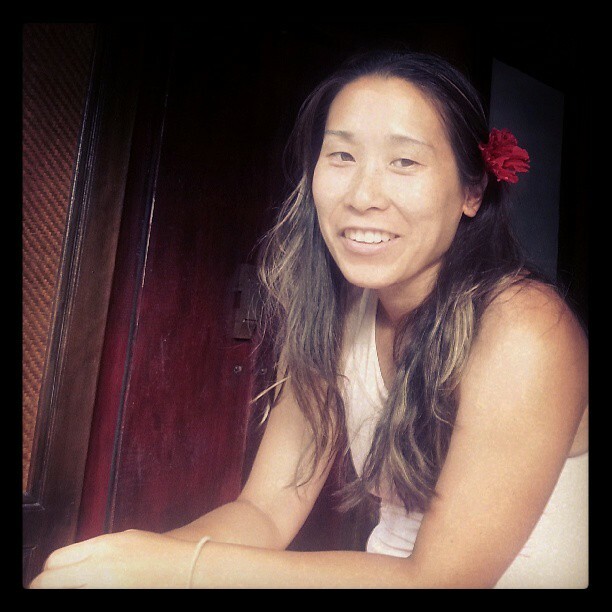 Hilda believes that life is not about profits or accolades, but instead enjoying yourself in whatever you do. You can certainly see how this lesson has persisted in her career today. Hilda is a Hydrologist. 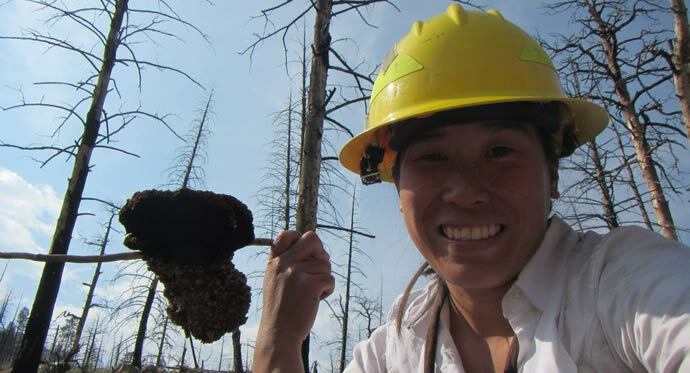 Beyond being a ridiculously catchy title, Hilda’s job includes surveying the land to ensure that timber harvests, prescribed burns, trail and road management and restoration projects do not negatively affect watershed. She stomps around the forest collecting data on streams, snow shed, and wildfires in order to ensure the preservation of vital water resources in the face of human intervention. She says that her favorite part of her job is getting to do what she loves and actually getting paid for it. Hilda attributes her passion for learning about nature to her early exposure to the outdoors as a kid. Growing up in R.O.C.K. camps, she saw R.O.C.K. counselors as role models. She was always so impressed by their knowledge of nature and love of the outdoors. Once she figured out that a future career did not have to be sitting behind a desk, she pursued her passion for the outdoors. Hilda earned her B.S. in Forestry from Humboldt State University and M.S. in Hydrology from University of Nevada, Reno. The ability to look at success as the happiness one has within was taught to Hilda at a young age through her experiences with R.O.C.K. programs. She encourages current R.O.C.K. kids to try new things, be tenacious workers, and to follow their passions, wherever that might take them. Hilda now works for the US Forestry Service. She recently got married in August at Patrick Point State Park. The newlyweds live in Hidden Valley Lake where they enjoy biking and going to the beach.